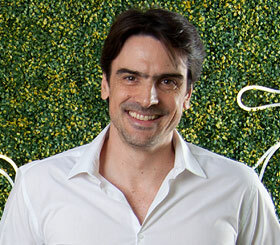 Diego Tartara is CTO Latin America at Globant, a technology services company that helps its clients emotionally connect with consumers and employees by leveraging the power of artificial intelligence for business optimization. In this exclusive interview with CRM Buyer reporter Vivian Wagner, Tartara lays out a road map for companies that want to treat their customers to exceptional digital journeys. CRM Buyer: What does it mean to create a digital journey for a customer? Diego Tartara: It has to be a full end-to-end cycle. It starts from the actual need and goes all the way to the usage of the product or brand. The journey is not only the touchpoints with the digital tool. It has to do with the end-to-end relationship between a specific user and a brand or product. CRM Buyer: What are the factors that go into creating an effective and innovative digital journey? Tartara: There are several components. The first is identifying your customer. That&apos;s actually done by performing customer analysis, segmentation, observation and interviews. What we try to understand is the client&apos;s actual need and how we can solve that need. Technology is always evolving, so the way to solve problems is always evolving. That also impacts the type of digital tools you can use to solve that problem. CRM Buyer: Explain how the "build to discover" approach works. Why is it important? Tartara: Build-to-discover has to do with a methodology you put together to build solutions. This comes from our own learning about how to create the proper impact. The typical approach is related to consulting and investigating the client&apos;s actual needs to get to that vision of what you need to build. Then you jump into the build phase. That approach is actually quite lengthy, and the second stage depends on the solution. What we&apos;ve learned is that when identifying the problem and the solution that works, we see that some functionalities are no longer relevant, or some hypotheses are no longer valid. It involves course correction. It means actually doing shorter tests and making sure that actual assumptions are correct. This means that you get to the same result of a successful product on an incremental basis. It means you succeed each time, and you have certainty that it&apos;s what the client needs and expects, since you&apos;ve tested it many times already. CRM Buyer: How can an emotional connection be created with a customer, and why is it necessary? Tartara: If your customer thinks he can trust you, those connections are created. If you become someone your user can relate to, so that the user has an emotional connection with your brand and experience, you go beyond the actual functionality you&apos;re providing. Those products create an emotional connection, and users identify specific moments in time that they can directly relate to that software. You get to relate and connect on that level, by providing the right information. It can either be a tool for you or an assistant. How can you change an email program to make it more like an assistant? Maybe it starts understanding what emails are important to you, and which ones aren&apos;t as important. Maybe that assistant can start making those decisions for you. That&apos;s how you go beyond being a tool to being an assistant. CRM Buyer: What are moments of impact, and what role do they play in digital journeys? Tartara: A moment of impact is any time within a digital journey when something changes. What&apos;s important about these moments is providing the right solution and the right accommodation, and becoming the choice for the user at that moment. It involves being relevant to the user according to the context. It would be, for instance, when a trip planner provides information that will help the user get to where he needs to go, even when he&apos;s not expecting it. It&apos;s letting him know that he needs to leave five minutes early because some aspect of his journey has changed. If you provide that kind of information, the user will count on you in the future. That&apos;s creating a moment of impact. CRM Buyer: How can moments of impact be discovered and created? Tartara: Some of them are easy to understand, and they relate directly to the customer needs. It&apos;s more in how you provide the information and how you make it relevant to the context -- giving the right information at the right moment. The most important ones are those that come from the client&apos;s needs and are mapped into the experience. It&apos;s about understanding how to solve those moments and achieve goals that the client does not expect. Examples include recommendation engines. How can they be so impactful and be so assertive? Well, you have a ton of information, and if that information is spot-on, you can combine it with technology to shape that type of experience. They&apos;re the most difficult and most important moments to create.